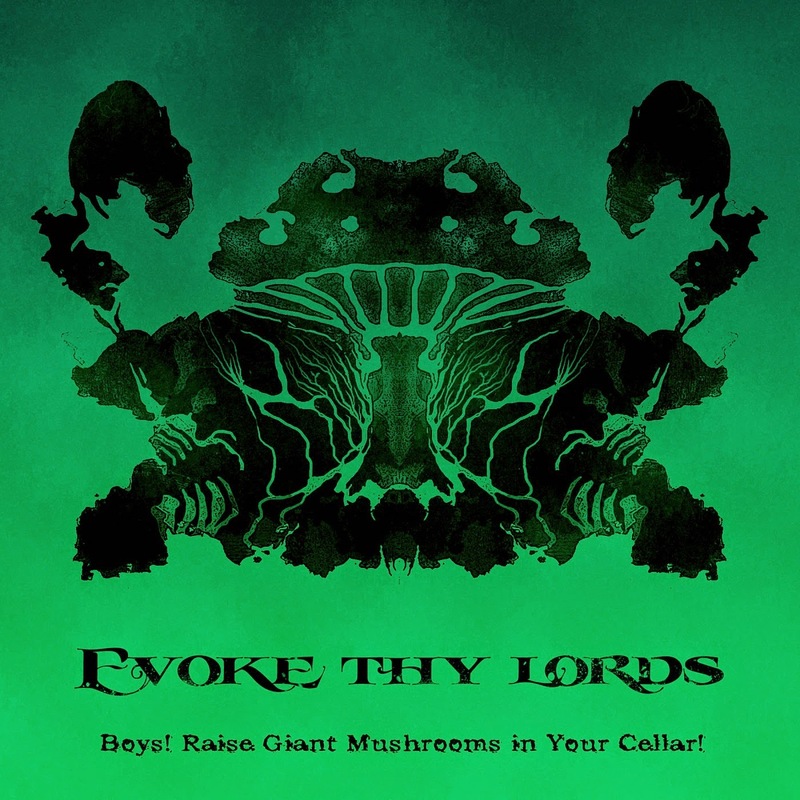 Evoke Thy Lords is a pretty original band from Russian Siberia. 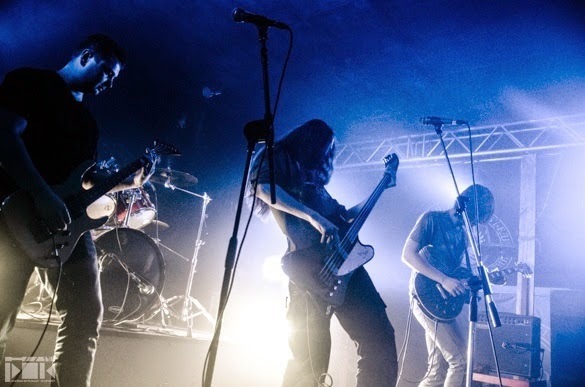 The band is located in Novosibirsk and there they play a fantastic mix of sludgy psychedelic doom metal with good, deep growls and mesmerizing flute tunes. They started in 2002 with more trivial stuff, but everything changed with the Drunken Tales album (2013), and its success was developed further on the third full-length album under the ambitious title Boys! Raise Giant Mushrooms in Your Cellar! (2015). 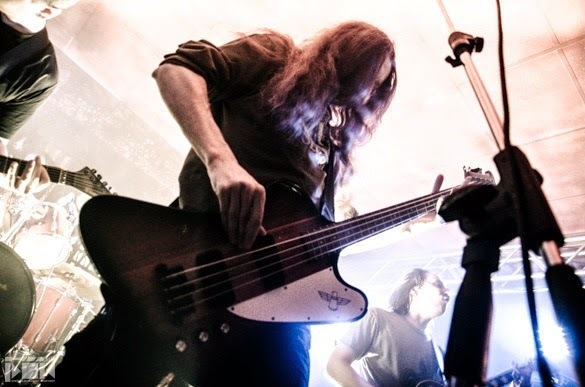 Don’t waste any time — come discover new dimensions of sound with Alexey Kozlov (bass, vocals). Don’t worship Satan! Raise giant mushrooms! Hello, Alexey! 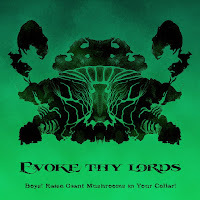 How are Evoke Thy Lords? What is the band’s news? Hello! We’re constantly in rehearsals and play at the local gigs sometimes. 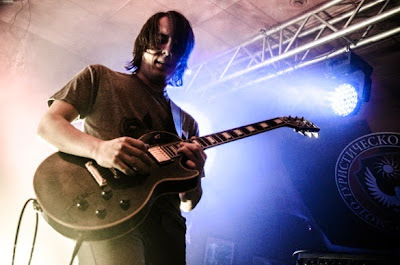 And we have plans to go to the studio for the new record in the nearest future. Your previous work Drunken Tales received very positive feedback both from Russian and foreign listeners. How has this fact changed the band’s life besides receiving rave reviews? Well, we’ve received a number of attractive offers from several major labels. We’ve left our jobs and now we are about to derive our income from music only. The biggest world festivals beseech us to play on their stages. That’s all, I think. Cool story, bro! Could you tell in more detail? In more detail, our lives haven’t had any global changes. What’s your attitude about the listeners’ positive reaction to the music on Drunken Tales? Did you feel like, “We did it! We have found ourselves, so we don’t need to strain anymore”? We like Drunken Tales, even two years from its release, and this is a healthy sign. But it hardly means that all our future records will copy those ideas. 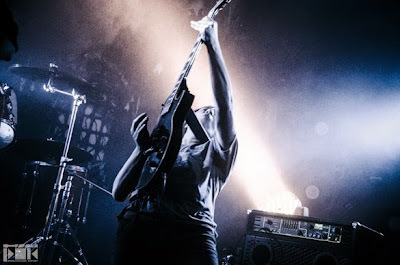 You know, our recording approach is: an album is not a compilation of different songs but an integral thing with a general idea or something like that. And we think an album must have a “message” (sorry for this word), which goes through the music, lyrics, and art. Drunken Tales is a pretty monolithic one and has a dot at the end. The new record is going to be based on a bit of a different conception, because time is running and now we are not the same. And this fact will surely have an impact on the music. The name of your previous work points toward alcoholic adventures, and the mushrooms appearing in the next one, Boys! Raise Giant Mushrooms in Your Cellar! is unlikely to mean the mushrooms from grandmother’s cellar. What role do different exciters and stimuli play in the creation of your music? I am afraid we are rather dull in this case – these substances and the creation of our music are not related to each other. Watching the reaction of listeners, we see how strong the effect of the visual perception is. After the Drunken Tales cover art we were considered like cosmonauts, and now as mushroom pickers. We seem to accept this. Where are the shamanic tunes in “Betrayer/Lier” from? Jaw harp, throat singing, the special rhythm of the drums, and, to cap it all, mushrooms in the name of the album… One of the bandmates read Castaneda’s works, didn’t he? НNo, the mushrooms are from Bradbury. We were not inspired by Castaneda, but there may be something in it. All the rest are our proper ideas. Bradbury? Let’s remind our readers where Bradbury grows mushrooms. In the small novel of the same name “Boys! Raise Giant Mushrooms in Your Cellar!”. There’s no point to re-tell it, cause we’ll slip to the spoilers. As for the above-mentioned “message”: What are the “messages” in Drunken Tales and Boys! Raise Giant Mushrooms in Your Cellar!? And what is the difference between them? Well, the word “message” was a shoot from the hip. Let’s replace it with “the general thought or idea of the album”, or something like that. In a few words, we can say that in Boys!… there’s the subjective perception of the world. Sometimes the owls (or mushrooms) are not what they seem, if you know what I mean. In Drunken Tales it’s the inner monologue of a usual man –you can catch most of the sense of it from our lyrics. We published it in the booklet. And if you don’t have a CD, the scanned artwork is on the internet. How long did it take the band to approve today’s conception of Evoke Thy Lords – bulldozer guitar sound, stoned groove, brutal, death metal growl and upon that, graceful flute, psychedelic arrangements, and almost jazzy female vocals? We pulled the straws, and whoever had a short one could add his vision into the music. We didn’t listen to the losers, so the whole process was finished in thirty minutes. You said you were going to the studio in the nearest future for the new record. Have you pulled the straws yet? What will the new album be like? We haven’t got round to it, but we’re about to. The new stuff will have some differences from both Drunken Tales and Boys!…. Some tracks will be faster than the music on our two last releases. We plan to use female vocals in one of the tracks. Nowadays we’re playing some of this stuff at the live gigs. 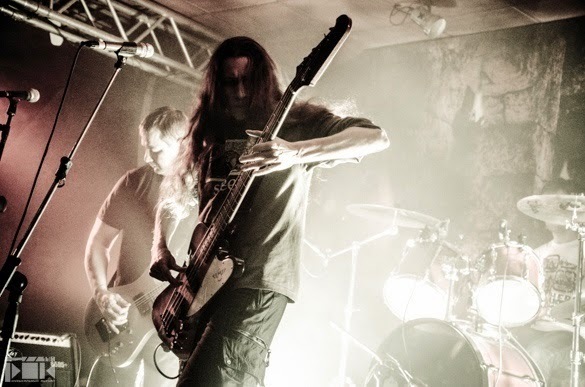 As I see it, the Siberian extreme doom-metal scene has become strongly active recently. Evoke Thy Lords, Station Dysthymia, Below the Sun with their recent release, and Delirium Silence from Yakutsk. How has it happened? Are there any obvious reasons for this activity? I don’t know this Yakut band, but we played with the other two – great bands both. I don’t know what reasons could be obvious in this case… The stuff has ripened, maybe? A few compilations of active doom bands were released with the help of formerly existing Doom-Art.ru. How do you evaluate the contribution of this web-portal to the support of the scene? And is there a musician community like that today? This resource has shown no sign of life for a long time. In my view, there has been no activity in that place for some years yet. As for alternatives, I personally don’t know whether they exist or not. I know that Moscow and Saint-Petersburg have the thematic communities, but it’s hard to measure the results of their activity from here. However, we always stand apart from this, so we could miss something. And internationally is Evoke Thy Lords a communicative band? As an old-established fact, most of our listeners live outside our country. Our tracks were released on international compilations such as the giant compilations of Doommantia and Heavy Planet. One cannot say that we specially and extensively promote ourselves in either international or Russian communities, but on the other hand, we are not recluses. We try to reply to every message or suggestion we receive. You’re interviewing us right now, after all. We have two typical questions for every interview, and the first one is: tell us what your favorite book was when you were a schoolboy. I read a lot of books that time and now it is not easy to choose some of them. Foreign science fiction, I’m sure. The second question is less intimate. Could you tell us in more detail about one of your songs from the latest album? It’s hard to tell about songs, I think. Better, let me tell about some moments from the album recording process. It was full of force-majeure. For example, in the recording process our flute was broken and we had to make a hybrid, combining different instruments. And the stuff had been recorded before Drunken Tales, so chronologically it was kind of a return to the past. We had the bad luck to get mixed with a careless sound engineer, and as a result we had to restore our record painstakingly. That’s why, to some extent, we felt relief when we finished this record. Ok, I’ll ask you a bit different question then. Is there a song on one of your releases that describes Evoke Thy Lords most closely at this point? The music has been developing and transforming along with the band itself. And the most close to us are the brand-new tracks which we are only planning to record. But if we make a step back, then let it be the Drunken Tales stuff – “Routine of Life” or “Dregs”, maybe. So again, the most recently composed tracks. However, the inner changes have obviously happened, and to say for sure that today we are the same as we were in DT is wrong. Hope the recording problems won’t happen with your next album. Good luck with the studio! That’s it for today, unless you want to say a few more words to our readers and your listeners. Often, they are the same people. Thanks a lot for your interesting questions and support. I’m gonna wish more cracking fiction for readers and more awesome music for listeners. Boys, raise giant mushrooms in your cellars!